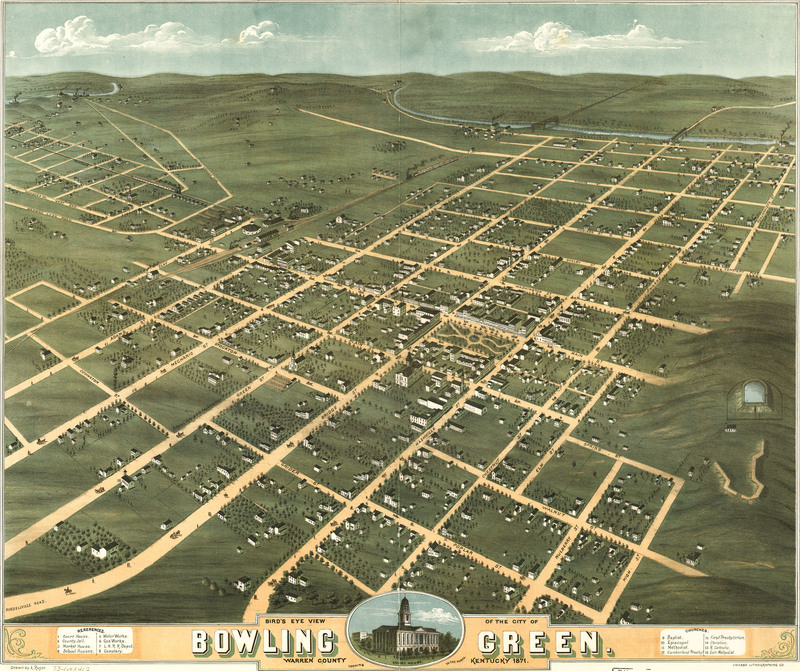 A. Ruger's Birdseye map of Bowling Green, Kentucky in 1871. This map isn't part of any series, but we have other Kentucky maps that you might want to check out. 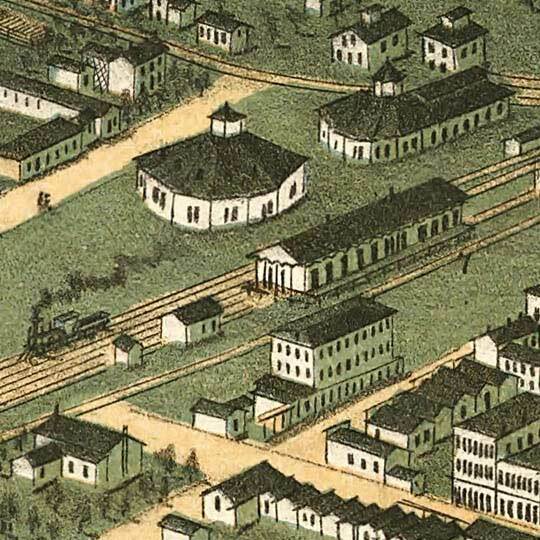 Standard-fare early-period Ruger map of Bowling Green, Kentucky [gmap] from 1871. I really like these high-angle, taming-the-prairie (odd idiom choice, for Kentucky, I know), order-from-chaos, grid-emphasizing maps. Might just be me. For more maps and images from this period in the region's history, visit the Kentucky Historical Society.